Talking about how to get out of your comfort zone is fine as long as you give theoretical examples with other people, right? 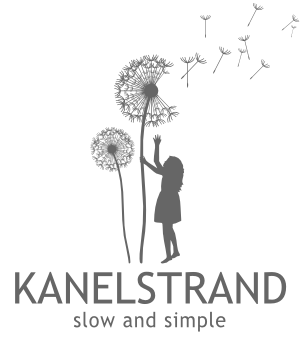 But on Kanelstrand I aim to be as real as the Internet allows and that is why I took a wild step out, attempting to achieve simplicity. I am still unsure about the outcome but you will be here to witness the progress and encourage me on the way. So many of you were brave enough to share your own journeys in the lands out of your comfort zones in Part 1 and Part 2 and I know they inspired the rest, who didn't comment. They also gave me food for thought - sharing is one of the best favors we can do to each other on our simplifying journey. Sharing experiences, emotions and life lessons is not about judging. It is a pure and simple connection between souls, innately liberated of judgment exactly because of its fragile nature. 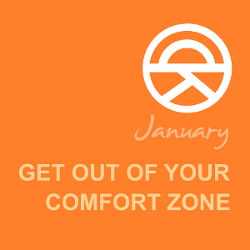 Today I invite you on a journey out of my comfort zone. I am scared and excited at the same time, and I count on your advice. Ever since I was 5 I wanted to play the piano. One of my grandmother's brothers was a famous composer and I still remember his vintage folding piano with its unstable squeaking legs. He used to bring it with him when he came to visit, I guess he wasn't able to separate himself of the music in his head for a long time. He was a fascinating person, coming out of the land of radio and TV shows. The day I had to audition for the piano course was one of the scariest moments in my life. I had no idea what the teacher expected of me. I practically knew nothing. So I entered the quiet room, was told to sit at the piano and play a cord or two. After a couple of unremembered moments and almost fainting I heard that I was accepted to the music school. Big journey ahead, leading to visiting the piano course just once because there was nobody who could take me there at the right time. And so, the piano dream faded pathetically. Then life continued in its own pace, revealing many more dreams and possibilities to achieve them. I shut the piano dream off and never even learned the notes. I know them by heart but I don't recognize them positioned on the staff. One more thing I know is where they are on the white piano keys. I don't even know what the black keys are for. Today I enter the realm of music by teaching myself how to play a fascinatingly gentle song. This is absurd, right? We've had a piano at home for more than 2 years now, a birthday present for our daughter and of course I've tried playing something on it but knowing that I am a complete disaster in the field of music I've never been able to achieve anything. I don't know the notes. I don't have any theoretical knowledge. I don't know how to hold my hands. I don't know how to play. I don't know what follows. For 2 years, with a piano under my nose I kept guiltily swiping corners and turning my back to it hoping that at least she, our daughter will learn to play. Yes, guiltily, because I knew it was a waste of time to have it and not try. And yet, I was too scared. It looked like there was too much work involved. Even though my husband is very literate in the field and can play by ear and is always here to help me. In fact the reason I learned to knit was that he learned to play the harmonica. I was so excited with the spirit that entered our house that I felt my hands ready for something new. Learning to knit was another one of the steps out of my comfort zone. So, today I thought, if I managed to teach myself to knit only with the help of the Internet, why not conquer the piano too? I think you'll be able to learn to play. Why not? Good luck! Very important information! Comes to prove that we have to continue learning all our lives! Of course you will! I hope you also enjoy the journey! Ah, thanks for the encouragement! I am really excited and can't wait to see how it goes. I am so excited for you!!! Piano has helped me through many struggles in my life, and so seeing someone else learn to play makes me very happy. 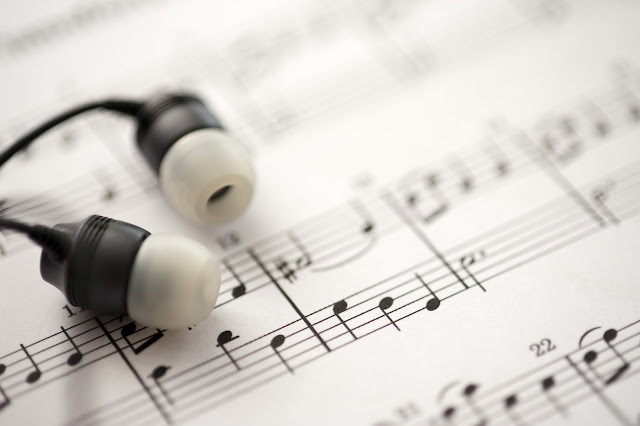 It's so much better to play a classic song than to hear it--to get into the head of the composer, under the skin of the song--and on top of that to become literate in music and be able to write your own... I'm just very happy for you. I think it's a lot harder than knitting--and there's no replacing an instructor who has a trained ear that you've not yet gained, but for the beginning basics of piano, I think the internet can definitely be a tool for learning. I look forward to see your journey! Rachel, now I remember seeing a video of you playing the piano long time ago! I got the goosebumps, thank you for your support, you are completely right on all levels. Let's hope that the beginning basics of piano will not turn out too complicated for my untrained and unassisted ear. You are so funny; OF COURSE you will be great at playing the piano. What a marvelous head start you have with a famous composer as an ancestor! Melissa, what a motivator you are! I hope you turn out right :) I wish I could use my grandma's brother's knowledge and experience when he was still alive. Yes you can! And I completely understand your sense of "unfinished business". I took basic piano for a short time (at age 10) until the instructor had a breakdown... She really did. She set her house on fire. Not because of me, I promise! But my piano lessons died right there. Ever since, whenever I'm in the same room with a piano, I get genuine sadness, almost like a phantom pang for the piano knowledge that should have been mine. You're doing what I hope to one day do. I'm so happy for you! So, so happy. As people said here, before me: nothing replaces the guidance of an instructor. But you can definitely learn the basics from the internet. Oh! I just finished this book, how timely: The Piano Shop on the Left Bank. It brought my phantom pangs to a throb! Yes! I think you'll be able to do it! I recognize this way of thinking with so many things in life. Being "scared" to learn something new sounds ridiculous when you say it or write it down, but I guess that is what it comes down to. What a great first step! I re-learned how to knit, as well, last year. I'd been wanting to start to listen to books instead of reading them, since I'd had a hard time focusing while reading. SO, I thought, if I keep my hands busy, I'll listen (and not fall asleep, I have a tendency to do that while listening to things). It was a success! Hi Rusty, ever since I learned to knit I the world of audio books has opened to me. I love knitting and listening to books. It makes me feel extremely joyous because I can do two things I love simultaneously! Thank you for your encouragement! Thank you, Joelle! It is so uplifting to read your words of support! Learning to play a musical instrument is like learning a new language, isn't it! I know you will succeed in learning to play the piano and you will be a great success. The first step to success is the step to go out and try. I look forward to hearing about your journey of learning to play the piano.